Crackers and cheese is my daughter’s favorite combo. She likes Ritz crackers a lot, and I do buy it most of the time. My son also likes to take bite of crackers at times. So when Arthy of Cookwtiharthysharma suggested two recipes of crackers for this month baking partners challenge, I was really happy. Since our India trip, the sugar levels of my hubby and mine are high, so there is a need to cut down on sweet as much as possible. Still the baked cookies were for kids, and at the most we would try our a few pieces to check the taste. 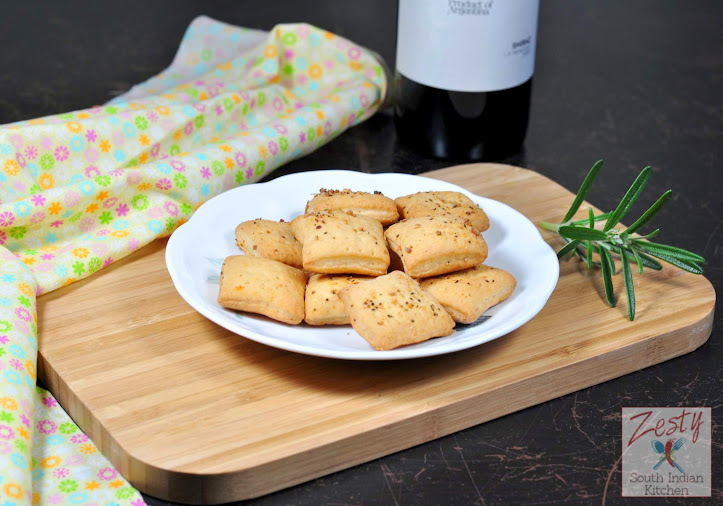 As a result I choose this homemade soda crackers for baking partner’s challenge. Other recipe she suggested was Smitten kitchen’s homemade graham crackers recipe.I have already I tried and tested Graham crackers here as part of “Daring bakers challenge”. 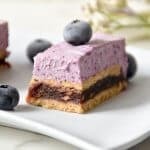 Mainly graham crackers are used as base for cheese cakes. My hubby is a fan of triscuit, and I would like to try that one next time at home. 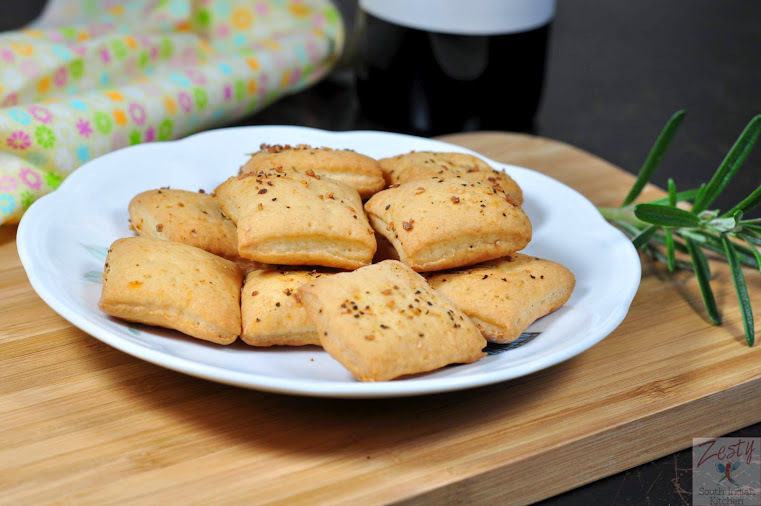 I made spicy mini cream crackers earlier, that we loved it. 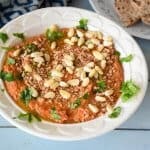 Crackers can be either naturally leavened with yeast, chemically leavened with baking powder or baking soda like many commercial cracker products, or totally unleavened, like matzo or Triscuits. Usually crackers are crisp and flaky but they don’t follow that rule too. They can be buttery or lean and mean, like saltines and other variations of “water crackers.” Whole grain crackers, regardless of the leavening method, have another major factor that it has fiber. However, the recipe used here yields a very crispy cracker. 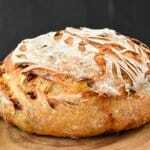 It is really easy recipe adapted from King Arthur flour web site. You need to make the dough the night before baking and refrigerate. 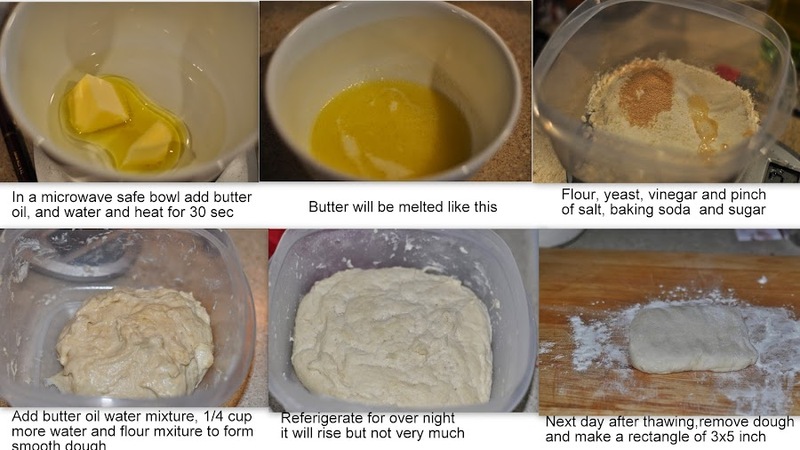 It is really soft sticky dough and don’t ever tempt to add any more flour, the next day, spread the dough into a thin sheet, and cut it into small size. Sprinkle your favorite herbs salt and bake it for 10 minutes. You will get really crispy delicious soda crackers. I didn’t prick well as it should be so my soda cracker got little puffy instead of thin. If you are trying make sure to prick three or more times and also spread very thin. After baking them in very hot oven, switch the oven off and allow cooling the cracker to cool in the oven as the oven cools down and you will get more crispy crackers. Make sure to check the other baking partner’s blog post too as it will be interesting to check how one recipe turned out in the hands of other foodies. 1 tablespoon rosemary garlic seasoning. In a microwave safe bowl add 3tablespoon of water, 1 tablespoon of butter and 1 tablespoon of olive oil and heat high at 30sec.Stir till butter is melted set aside until they are lukewarm. Transfer this dough to a greased dry vessel and cover with a cling wrap. Refrigerate overnight. After an overnight resting, dough won’t double as such, but still an ‘little’ rise is okay. Next day bring this to room temperature and transfer to work space dusted with flour. Press them into a rectangle of 3x5 inch. This will make your rolling process easier. Roll them into a sheet of 9x10 inch. Make sure to dust the work space liberally with flour to prevent sticking. Fold them through left half vertically. Repeat the same through right side, till this resembles an ‘envelope’. Pre-heat the oven to 425F (200C) . Line the baking sheet with parchment paper and set aside. Turn it into to 90 degree and start rolling. This folding and rolling is done, in order to get an flaky cracker. Make sure to roll it into very thin sheet 10" x 18". Trim the sides to make it a perfect square. Sprinkle the dough with your choice of salt — I used salt and rosemary garlic seasoning — and gently press it in with the rolling pin. 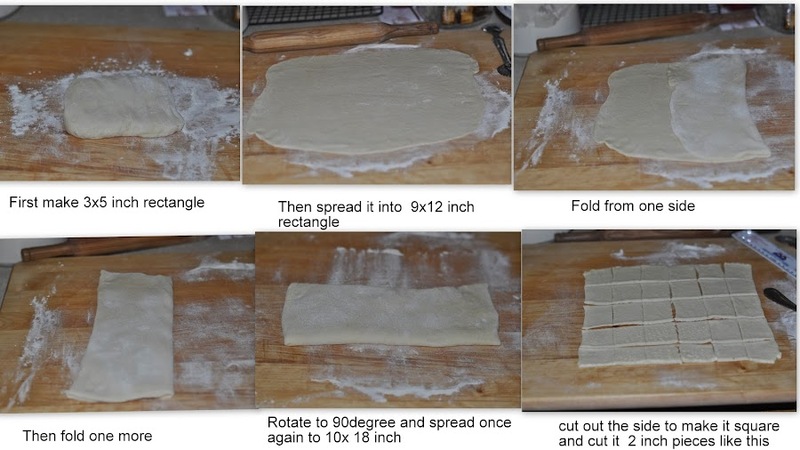 Using a rolling pizza wheel (easiest) or a baker's bench knife, cut the dough into 2" squares. Transfer the crackers to parchment-lined baking sheets; you can put them fairly close together, as they'll shrink as they bake, rather than spread. Prick each cracker three times with a fork. Bake the crackers for about 10 minutes, till they're a very light golden brown. Watch them carefully towards the end of the baking time; they can darken very quickly. Turn off the oven, and open the door completely. Leave the crackers on the oven rack; they're going to cool down right in the cooling oven, in order to preserve their crispness. Keep your eye on them for the first couple of minutes; if for some reason your oven isn't cooling off quickly, and the crackers are continuing to brown, pull the rack out partway. When the crackers are completely cool, remove them from the oven, and wrap airtight, to preserve their crispness. The crackers look really awesome Swathi. Perfect soda crackers. Good evening snack dear. well m ade and love rosemary flavor!!! wow very crispy and delicious soda cracker 🙂 looks fantastic !! Looks like its crisp , loved the texture. Perfectly done and baked. Delicious looking, plumpy crackers. We loved the taste too. very nice challenge swathi.I love it………..
ccrunchy crackers and me finish off the bowl within minutes. 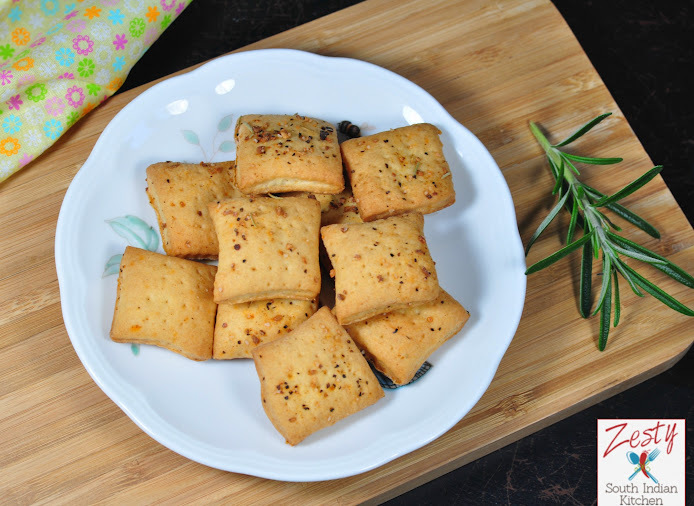 Delicious looking crackers… 🙂 My girl also loves crackers and cheesy dips… Should make them soon! Crackers look really inviting ….so crisp and delish. These look so crispy and love the name side crackers! 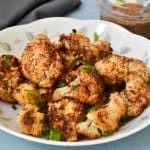 These look really delish and crunchy and I am sure addictive too. 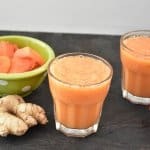 Loved this Challenge and your soda crackers looks beautiful Swathi! The crackers look so perfect and yum !